Two good long riding days with overnight in a local market town. We look forward to welcoming you on the Builth Trail. 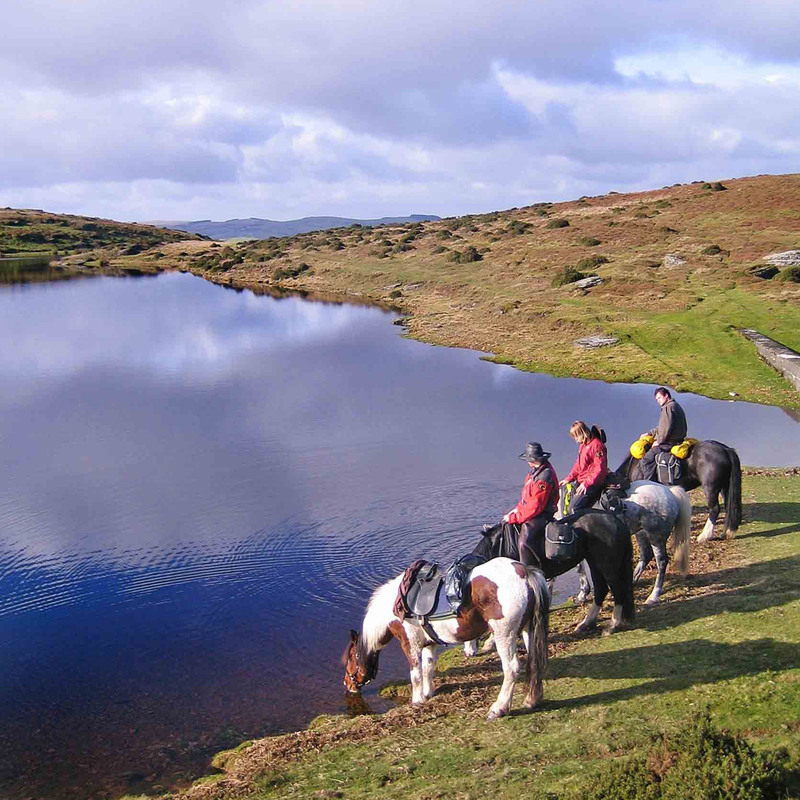 The Builth Trail is a two day trail ride staying overnight at the Llanelwedd Inn, Cedars B&B or Bronwye Guest House in the mid Wales market town of Builth from which this trail takes its name. It is two long days in the saddle of 16-18 miles in length. On the first morning of your trail at Freerein HQ you’ll pack saddle bags, go through maps and routes and of course collect your fit and friendly GGs. From HQ journey directly westwards along the length of Llanbedr Hill before emerging into the Wye Valley. The Wye Valley in its upper reaches is rightly renowned for both its salmon and scenery. 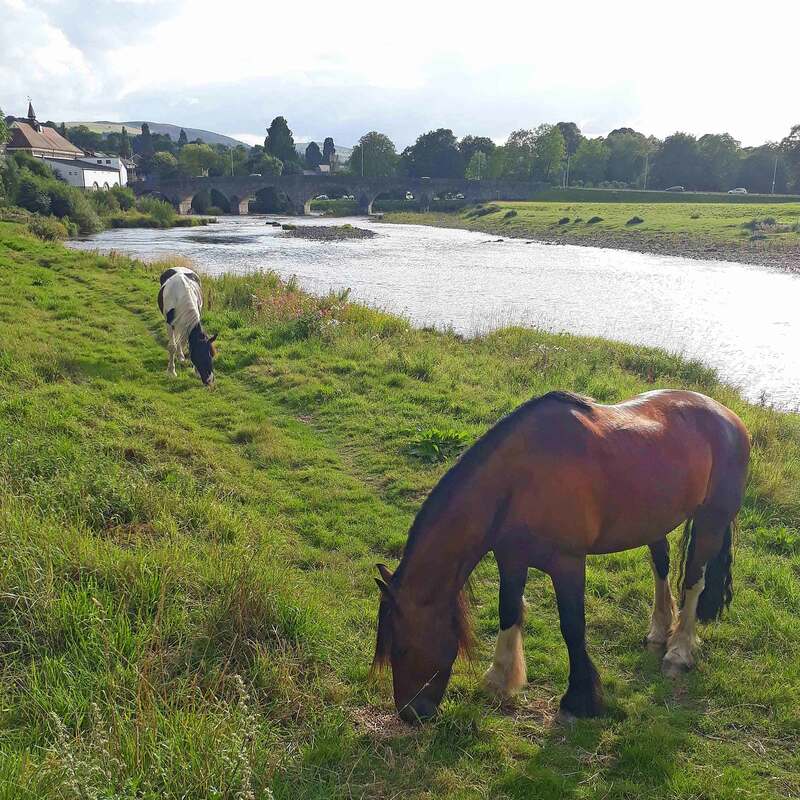 The Builth trail ride journeys through the hills, crosses either side of the Wye Valley and offers panoramic views to the Brecon Beacons, Black Mountains and the River Wye. The trail crosses the wild and remote north eastern edge of the Eppynt before dropping down into Builth. Here there is a choice of accommodations but most customers stay at the Llanelwedd Inn, Bronwye Guest House or Cedars B&B. Please note that there are often large events on at the nearby Royal Welsh Showground which means that staying overnight at Builth Wells is sometimes not possible over a weekend. Over Aberedw Hill before traveling back over Glascwm Hill and to HQ. Perhaps pause at the Roast Ox for some refreshment, then enjoy a last canter over the Begwns before returning for tea/coffee and homemade cake. Arrive at Freerein HQ. 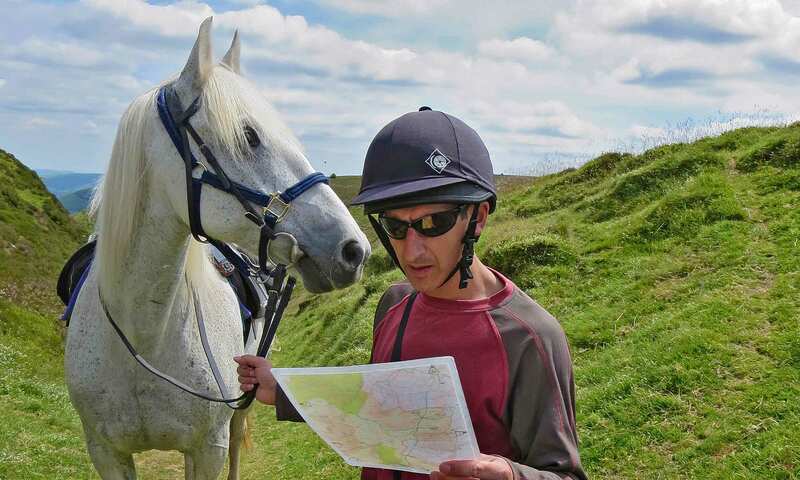 Meet horses and check your maps and routes. Out on trail all day and stay overnight in the town of Builth Wells. Catch and prepare your horses. Out all day, long ride returning to Freerein HQ.